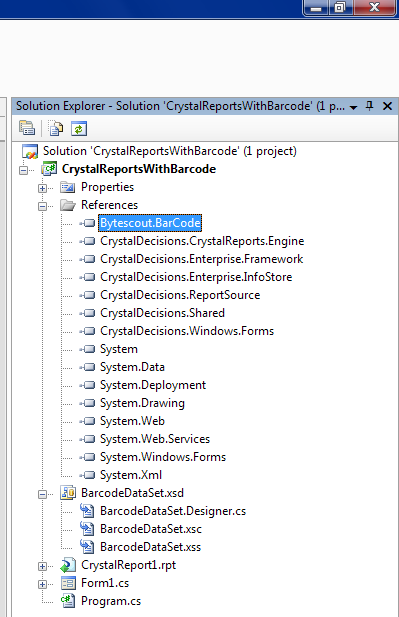 The following example demonstrates how to use Bytescout BarCode SDK and its Barcode class with Crystal Reports to insert barcodes into an automatically generated report based on a database SQL query. 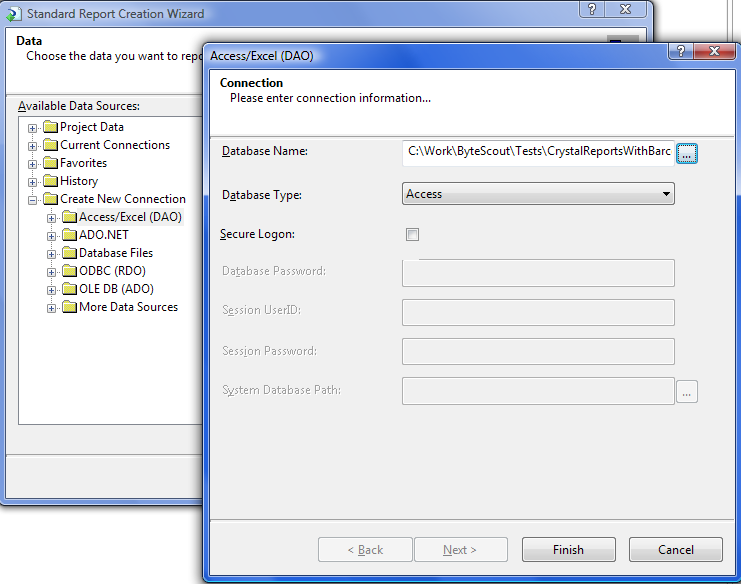 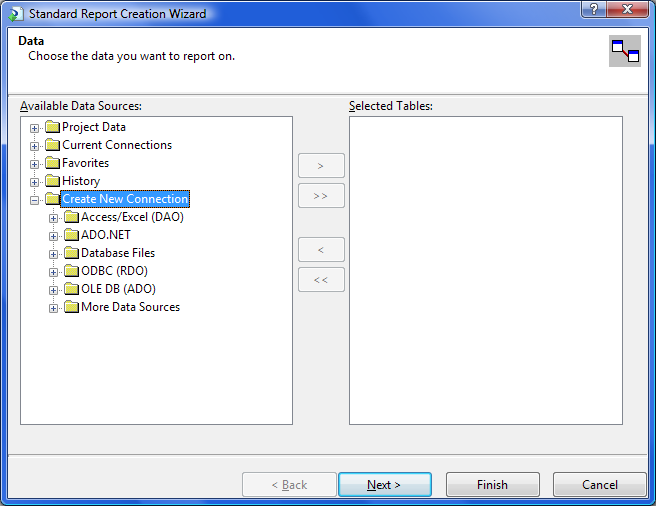 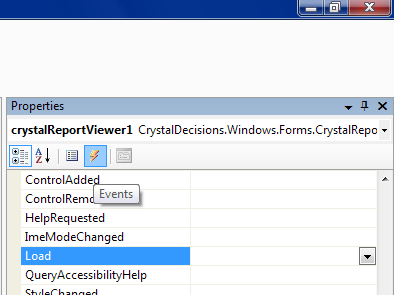 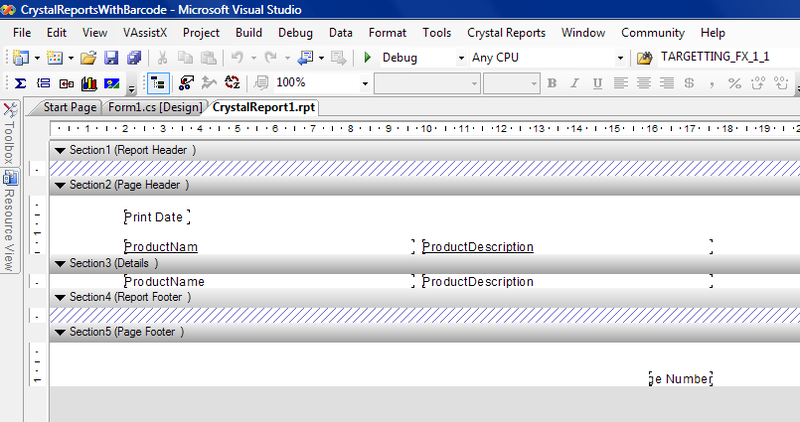 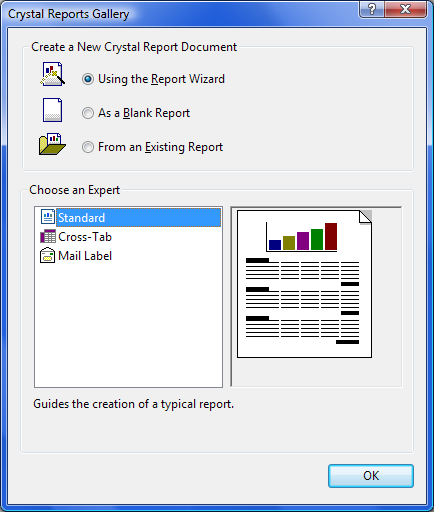 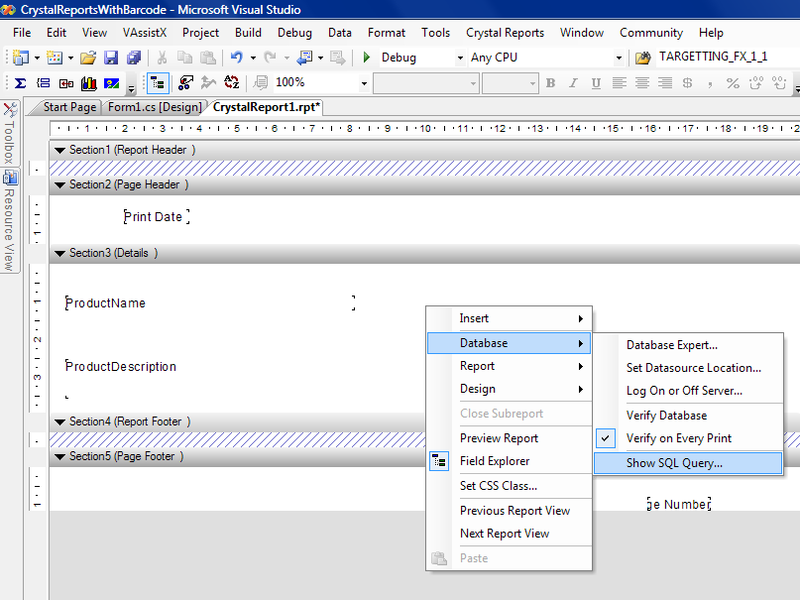 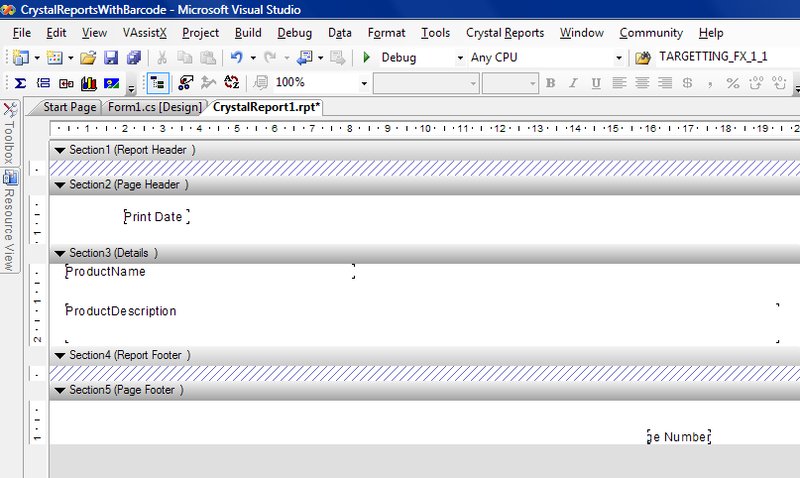 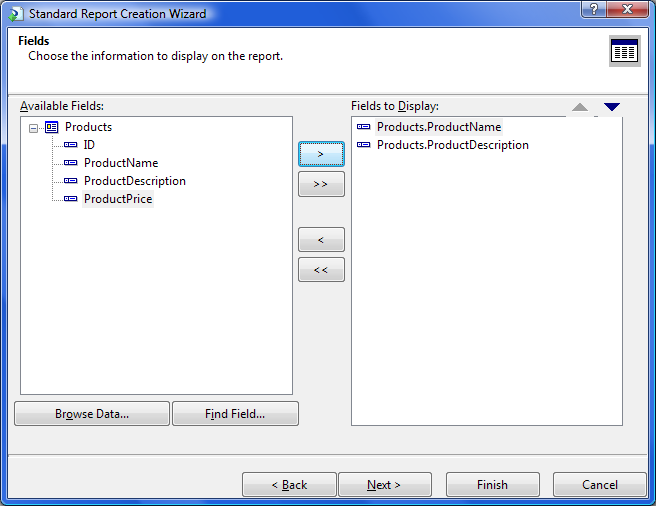 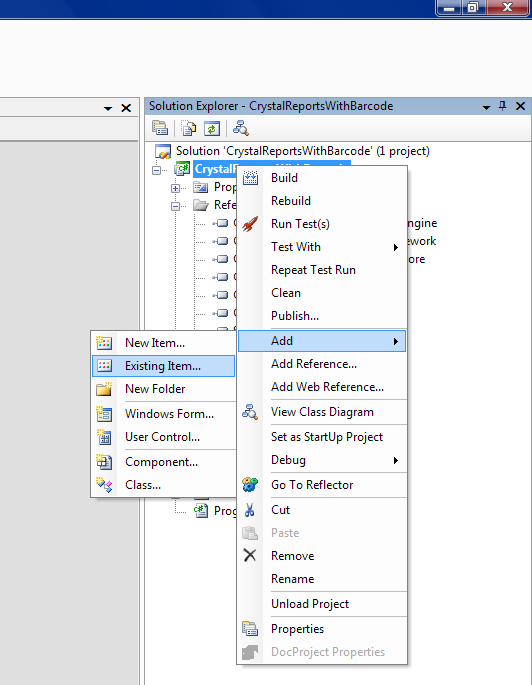 Create new Crystal Reports Application by using the menu: File | New | Project..
Then the Wizard will ask to choose the data source for the report. 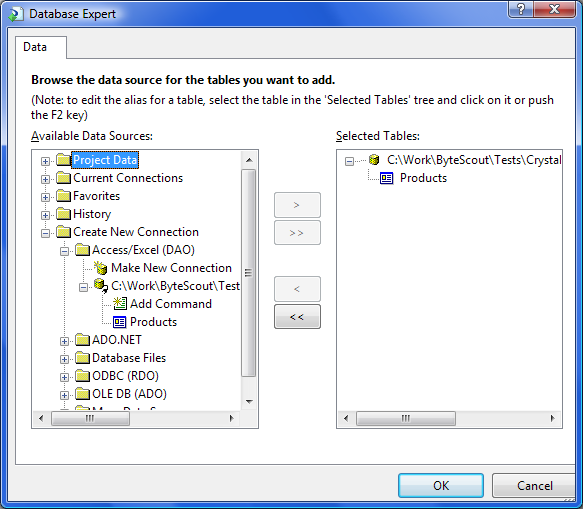 You can use your own data source or use the data source provided with this sample (products.mdb) as shown on the screenshot below. 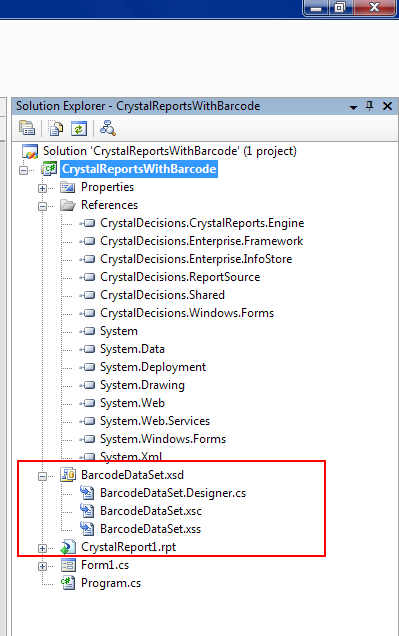 Now we need to add virtual dataset (BarcodeDataSet.xsd) into our project. 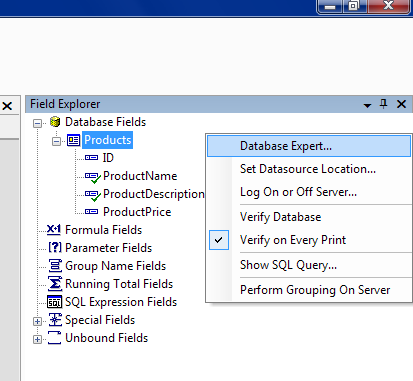 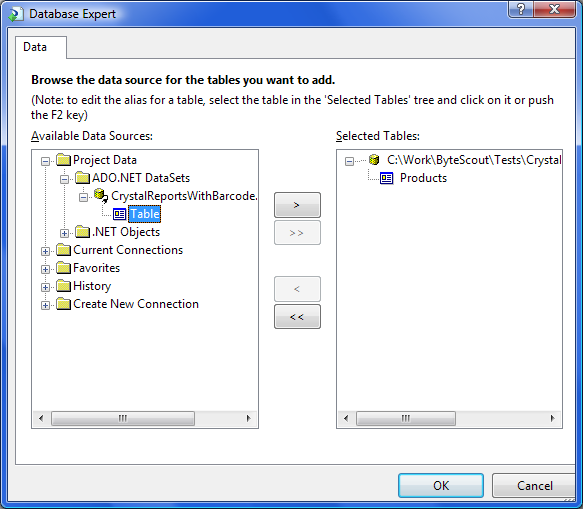 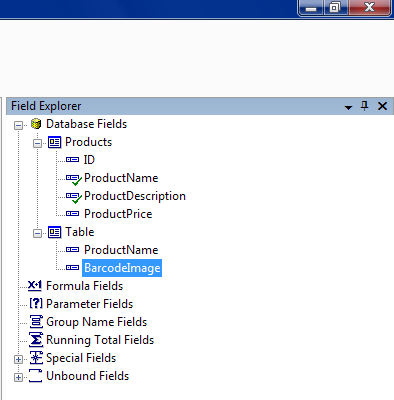 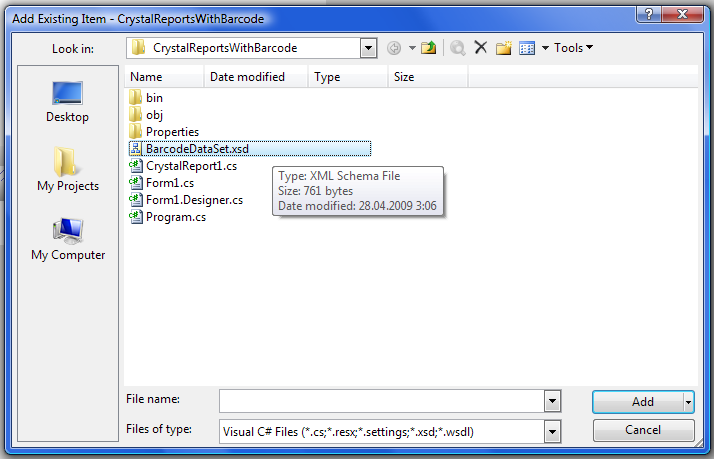 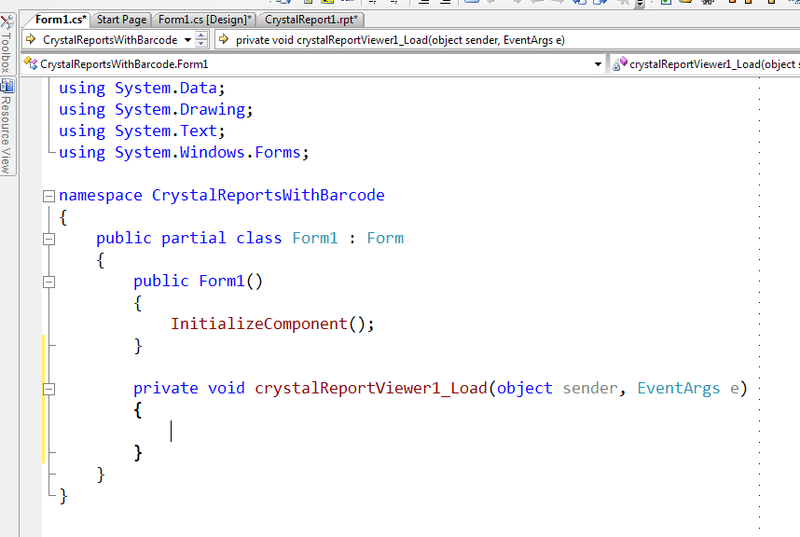 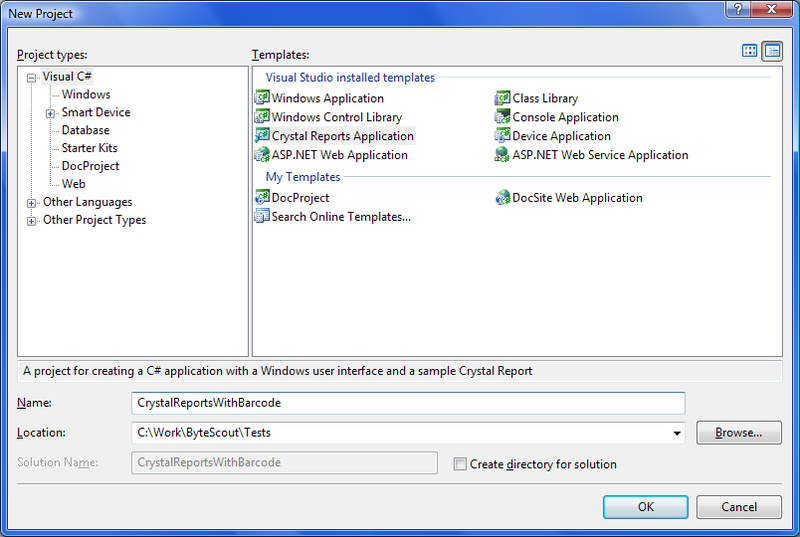 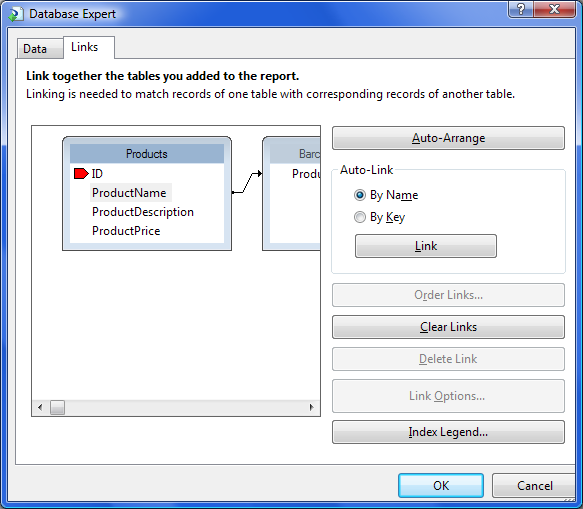 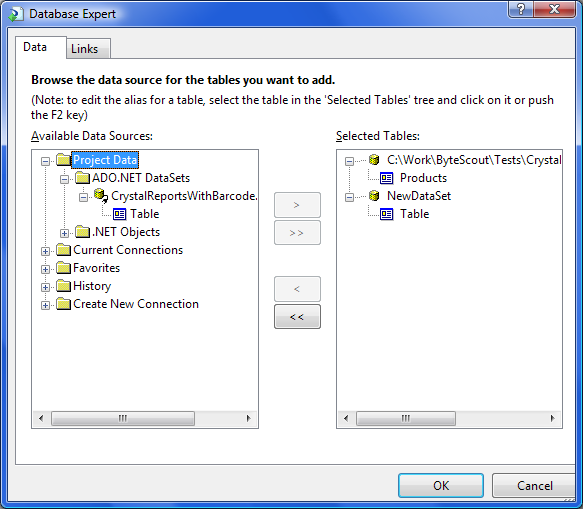 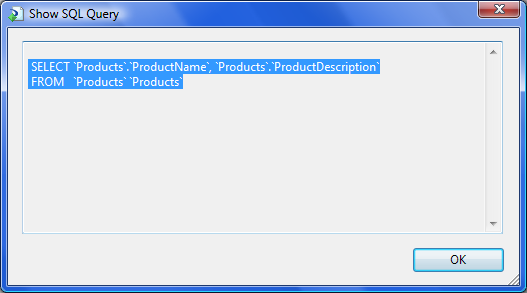 Project Data, ADO.NET DataSets, CrystalReportWithBarcode.NewDataSet Table. 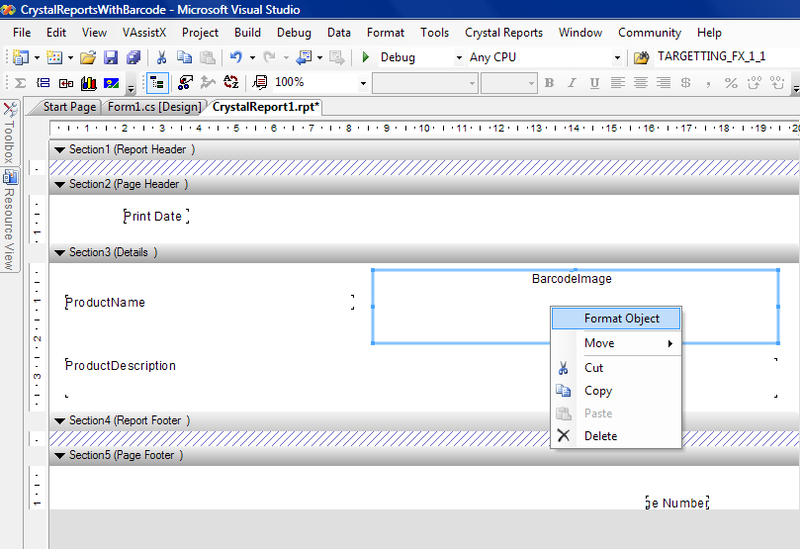 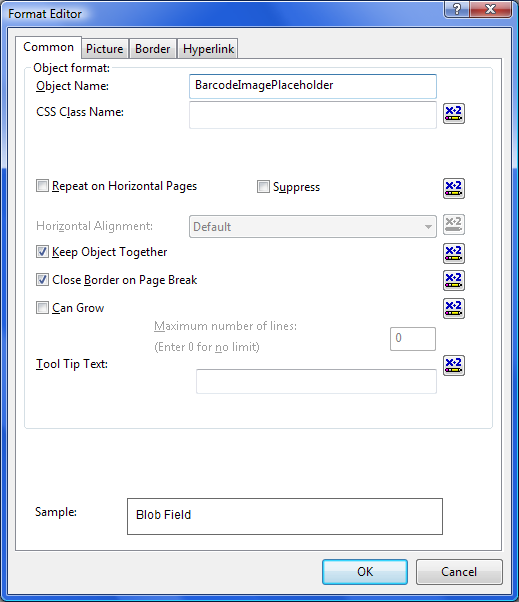 Format Editor dialog will appear. 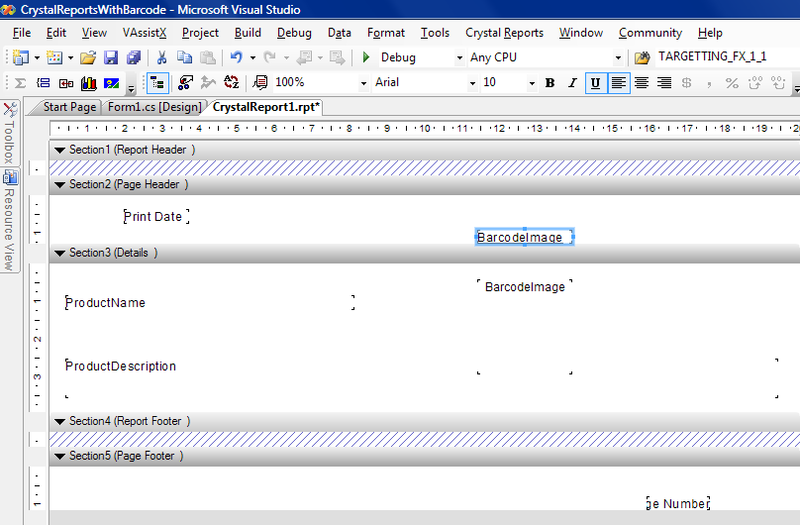 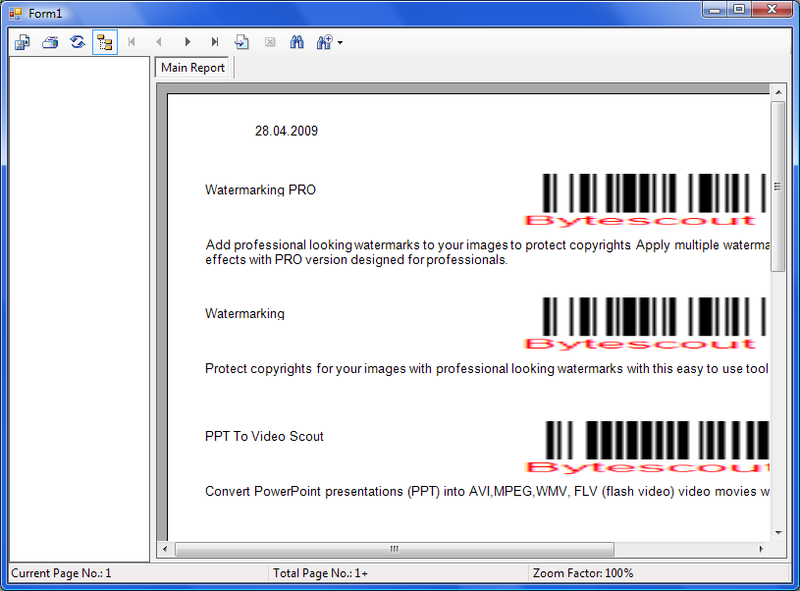 Now we should add the code to generate barcode image by generating barcode images using Bytescout BarCode SDK. 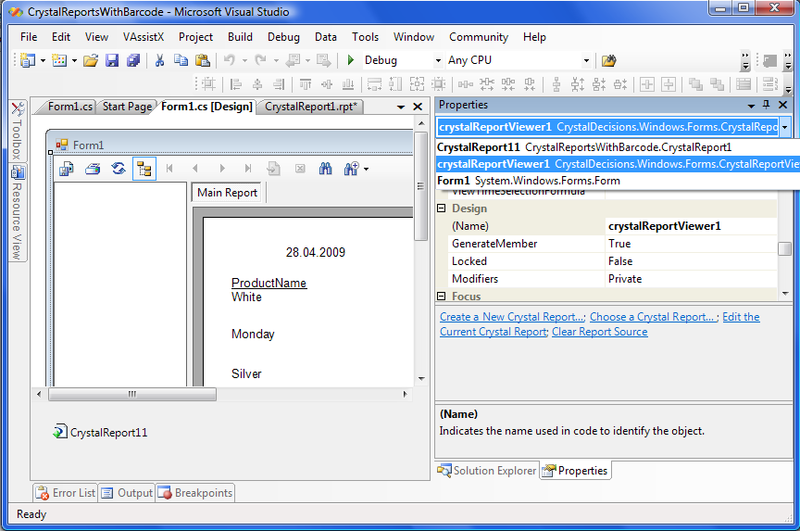 This will show report design mode.